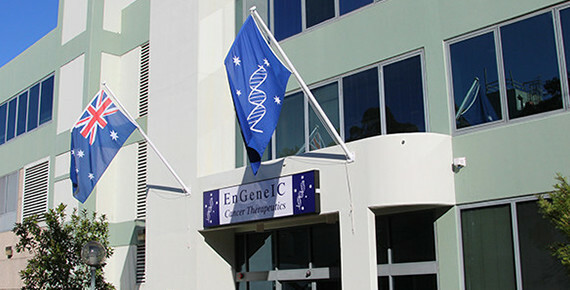 EngeneIC is a biopharmaceutical company focused on developing its proprietary EDV™ nanocell platform for the targeted delivery of chemotherapeutics and functional nucleic acids in cancer. The EDV™ is a first-in-class Cyto-Immunotherapy platform. EnGeneIC’s lead technology platform, EDV™ utilizes antibody-targeted, bacterially derived, non-living “nanocells” to release high concentrations of chemotherapeutic agents, molecularly targeted drugs, and RNA-interference molecules directly into targeted tumor cells. In doing so, EDV™ nanocells enable current cancer treatments to be more potent and far less toxic, while also offering a potential new means for treating drug-resistant cancers.